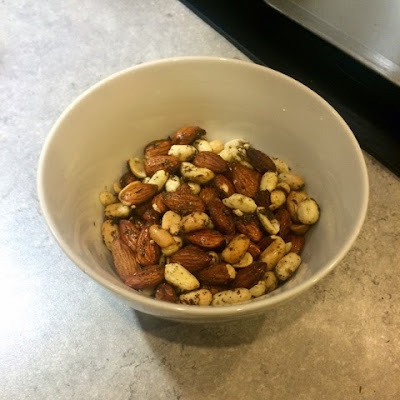 I absolutely love nuts as a great snack/nibble. They’re great to put out when you have people over for drinks, they’re a great movie watching snack and I love to put a handful in my lunchbox to have as a mid-morning snack at work. 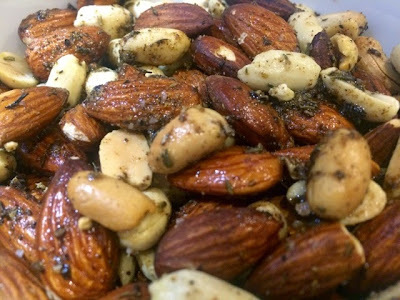 I used to get Graze boxes delivered to the office once a week and I loved snacking on the fantastic nut and seed combos they had. However, now that I work for myself and I’m in a different place every week and often away, it’s not really a scheme that works for me anymore. Missing my tasty mid-morning treats I decided I should have a go at making them myself, so off I popped to the supermarket, came back with a nice selection of nuts and raided my herbs and spices cupboard. Yes, you could just go and buy a bag of already roasted/salted nuts, but personally I find them a bit too salty sometimes. Making it yourself you can control the salt levels and also make any flavour combinations that suit your taste. Cumin and thyme has been a really good combo for me but I’ve also tried paprika and turmeric for a bit of a spicier snack. You don’t even need to keep this savoury, try honey and cinnamon for a sweet treat. 1. 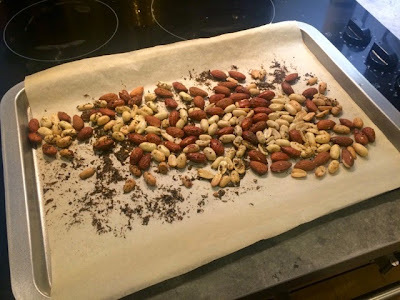 Preheat oven to 180ºC and line a baking sheet with greaseproof paper. 2. 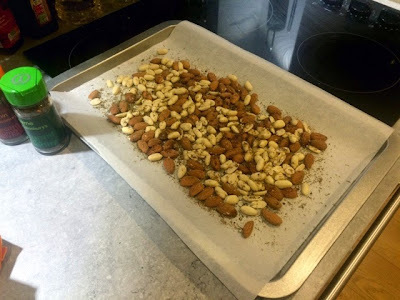 Evenly scatter over the nuts, ensuring they all sit on one layer, you want them evenly spread not piled up. Drizzle over a tiny amount of olive oil (use spray bottle if you have one), season generously with salt and pepper and sprinkle over a good coating of both the cumin and thyme. Mix about to ensure all the nuts have a good coating. 3. Roast in the oven for 5-10 minutes. I find the timings seem to vary each time I try this so the trick is really to keep and eye on it, check on them every 3 minutes or so, they should have a lightly toasted look to them when they’re ready. Don’t set you timer for 10 minutes and go and watch the telly until you hear it go off… I did this and returned to a very disastrous black mess in my oven. 4. 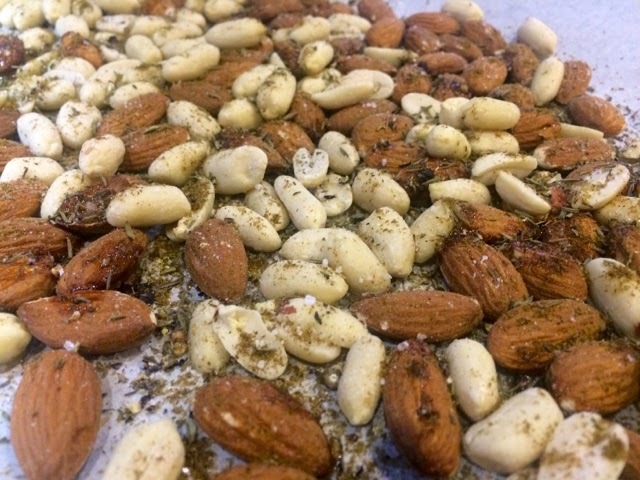 Remove from the oven when ready and serve immediately as a tasty snack or allow to cool and store in an air tight container ready to dive into whenever you’re feeling peckish.